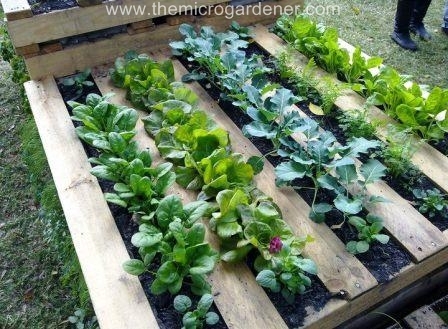 The trend of reusing wooden pallets and crates for gardening seems to have become very popular. It's a fantastic thing for the environment to prevent these pallets from being destined to landfill. However there are certain things to be considered before using them. If you are considering using pallets in a construction involving the growing of herbs and vegies it might be worth a look at this article from the Timber Development Association (NSW) Ltd. There are some really good illustrations of what markings to look for when choosing a safe pallet to use for food production in our gardens.